A friendly place; positively bizarre that there is absolutely NO SIGNAGE indicating that this is affiliated with USPS whatsoever. At minimum CPUs at least have a Sonic Eagle logo in the window. 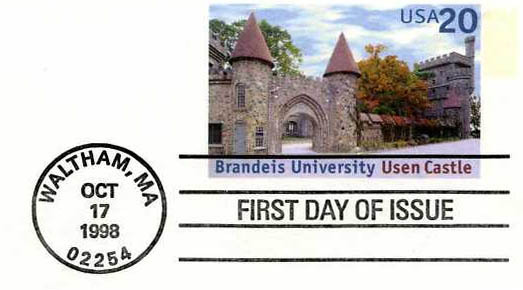 Brandeis University was also commemorated, for its 250th anniversary, on a 1998 20-cent postal card! 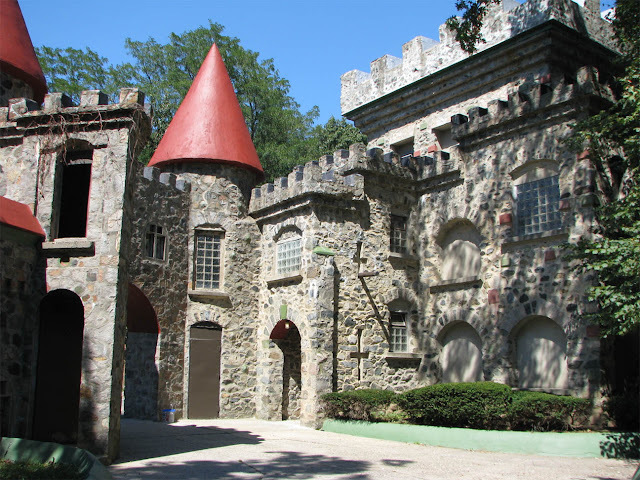 It features the campus's historic Usen Castle, which I photographed while on campus. The fifth CPU is located at the Cardinal Spellman Philatelic Museum in Weston. Still have to get out there!